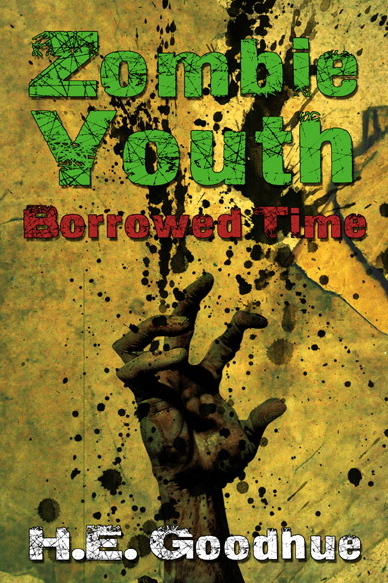 The good people at BuyZombie.com have just released a review for Zombie Youth: Borrowed Time and it completely made my day! A huge thank you to Kristin for the write up! Now for a moment of disclosure, yes, I do write for the website. But, no, that does not guarantee an automatic good review. BuyZombie.com prides itself on offering fair reviews and yes, that even includes work by members. So anyway, the review is awesome. Click the book cover and go check it out! Jule Romans, the mastermind behind The Zombie Authors Blog has added a bio and flash fiction piece from yours truly. If you haven’t had a chance to drop by this site I recommend you correct that mistake immediately! Borrowed Time has finished its final round of edits and has been released on Kindle, paperback will follow soon. This beast should keep your hunger for undead flesh slaked for quite awhile, so I hope the you’ll find the wait well worth it. 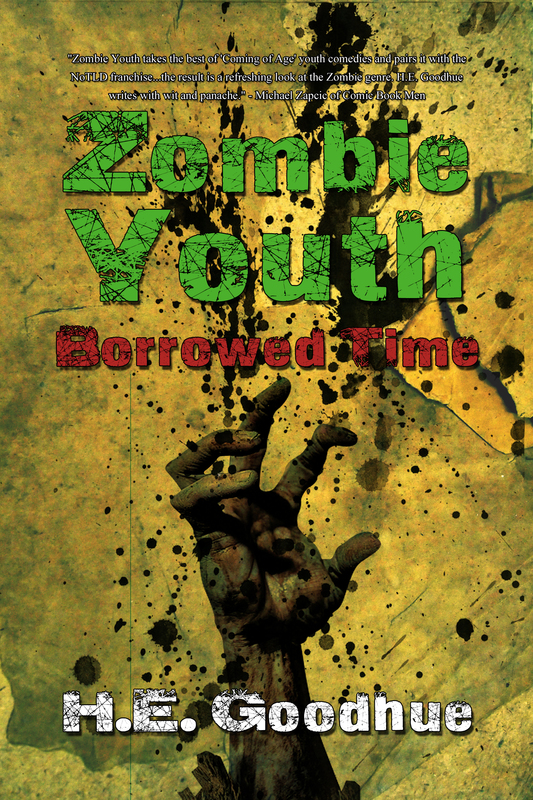 So I have forayed into the world of book trailers and created one for the Zombie Youth series. Drop by my Facebook page and let me know what you think or you can stream it on my Amazon Author’s page. “Borrowed Time” is currently with my editor and should be back soon, so we shamble just a wee bit closer to its release. In the meantime check out the cover art and quote from AMC’s Comic Book Men, Michael Zapcic; both are great. A short (55 word) flash story that I wrote has just been posted on the Zombie Authors Blog. If you haven’t checked this site out yet, you need to! I also have finally given in and joined both Twitter (@HEGoodhue) and Facebook. Don’t forget to follow me on both for more up to the minute info on the ZY series. And finally, I have recently joined the ranks of BuyZombie.com as a contributor. There is currently a three part installment running about the amazing work of Rob Sacchetto – his stuff is a must see! Here’s the finished cover from the upcoming ZY novel Borrowed Time. A huge ‘thank you’ to Michael Zapcic from AMC’s Comic Book Men and the Secret Stash for his cover quote. Keep checking back from release info. 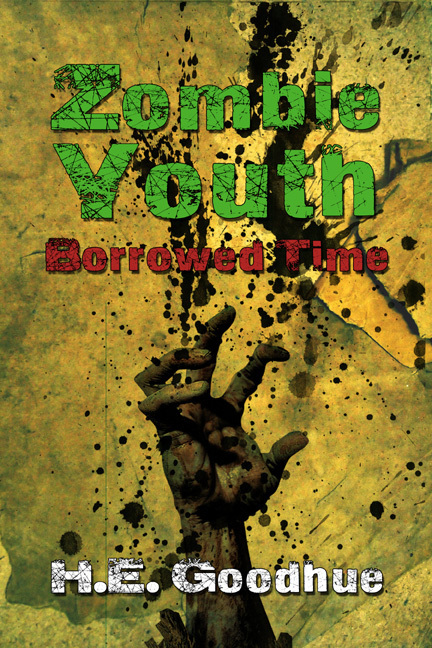 The second installment in the Zombie Youth series entitled Borrowed Time is slowly shambling your way as it wraps up a few beta reads before a final round of editing. I promise it’ll be worth the wait, but until then I figured I’d share the cover with you all. Hope you like it! Recently, the good people at the Hugo Award winning blog SF Signal invited me to participate in their latest Mind Meld regarding the current state of YA publishing. I am flattered to have my opinion sandwiched between so many great authors. Drop by and check it out! Don’t forget to follow them on Twitter…Hell, don’t forget to follow me too! 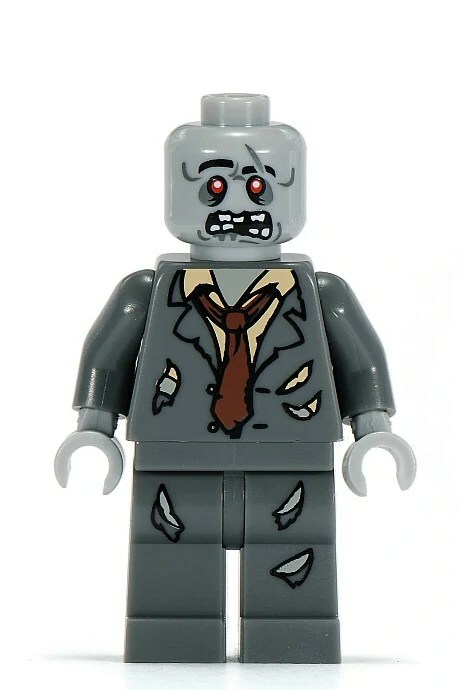 Click the picture below to check out the review and all the other cool stuff Bricks of the Dead has to offer.